The small village of Çirali sits beside a wonderful 3.2kms of idyllic, unspoiled beach. And as well as attracting beach lovers, this straight stretch of sand also attracts endangered loggerhead turtles, which is one of the things Çirali is best known for. This is a friendly, relaxed hamlet and the best places to stay in Çirali tend to be small family-friendly resorts. But if your idea of a holiday hotel is a little grander than that, then there’s something for you on our Guru’s list too. Seeing the loggerhead turtles bury their eggs in the sand, or watching the tiny little hatchlings making their way down to the sea are certainly bucket-list worthy attractions, but Çirali has a few more sights up its sleeve. Çirali is close to the ‘Burning Rocks’, a rocky area on the slopes of Mt. Olympos which is almost constantly aflame - fed by the gas with seeps from the ground and spontaneously combusts when it meets the air. This spectacle is fantastic seen at night, though possibly a little apocalyptic. The ancient ruins of Olympos are also just a 15-minute stroll along the beach. There are a number of lively bars and cafes in the new town of Olympos too. Çirali is also a marker point along the Lycian Way and, as well as joining this famous route, there are numerous excellent walking trails in the area too. The best places to stay in Cirali will be very busy during peak summer months. So either plan well ahead or come in the quieter periods, when you'll get more of the beach to yourself! Spend your days on Çıralı beach soaking up the sun. Spot the endangered loggerhead turtles laying eggs in the sand. Hike up the famous Mount Olympus and enjoy stunning views of the area. The Olympos Ruins are also well worth visiting, especially for history buffs. Visit Chimaera and watch as flames spontaneously spark from the mountain as natural gas seeps out. The Azur Hotel offers bungalow and rustic cabin resort-style accommodation, surrounded by tropical gardens and just a few minutes walk from the beach. Most of the rooms/cabins have private verandas with hammocks, and great local cuisine is served on a number of terraces. Room rates start from just £56 per night. 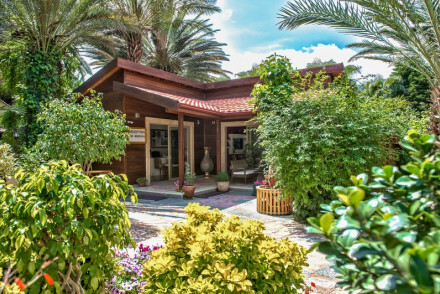 This is definitely one of the best places to stay in Çıralı for families. The 11-cottage Arcadia Hotel sits between the Mediterranean and the Arcadian forest, so there are lovely views in both directions. There’s plenty of privacy between the cottages and there’s a restaurant onsite as well as a pool and gardens. The Olympos Lodge is surrounded by luscious gardens, also home to peacocks, and has its own private beach. The accommodation is minimalist chic comprising of rooms and suites dotted around the gardens. If you'd prefer the privacy of a self-catering property then browse through the wide variety available online with our partner, Booking.com. Weather-wise, you're best off visiting in the summer months - with the average temperature climbing to 25°C in July and August. This, however, is peak tourist season, so for a quieter and cheaper alternative consider coming in the shoulder season months (May and October). Fly into Antalya Airport before taking the bus across to Çıralı. Browse through our list of all the best places to stay in Çıralı. Expand your search to include all the best places to stay in Antalya. Resort with charming log cabins and large swimming pool set in tropical gardens just minutes from the beach. Bungalows and rustic cabins feature private verandas and hammocks. 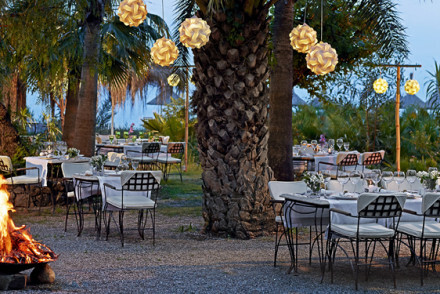 Guests can enjoy regional cuisine on the many peaceful terraces. Daily tours and plenty to do on site, perfect for families. Nestled between the Mediterranean sea and Arcadian forest this property enjoys both sea and seclusion. The individual wooden cottages, ideal for families, are dotted between orange and palm trees. 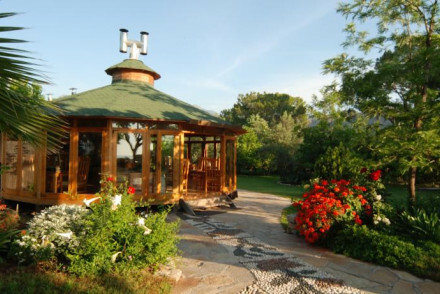 There is a restaurant serving locally sourced, organic cuisine as well as a pool and tranquil gardens. Great walks - Join in on one of the regular nature walks, suitable for all ages and abilities. Sailing - Sail into the sunset on a privately hired boat. A wonderful hotel set in luscious peacock filled gardens with a private beach. Romantic rooms and suites sprawled across the garden in creams and ochres. Minimalist chic living areas have fireplaces, wooden floors, and subtle lighting. A perfect spot for a honeymoon or wedding party. Weddings - The 15 acre garden filled with peacocks is the perfect setting for a wedding. Beach Life - The hotel has its own private beach. Garden - Stunning verdant gardens.